Singapore is a major trading hub and plays an important role for companies willing to expand to the South-East Asian region. Singapore is particularly strong in the manufacturing, wholesale/retail trade and services sector. The country is host to multinational companies from various industries and geographies. In the ICT sector, Singapore is host to more than 80 of the world’s top 100 software and services companies. The World Bank has ranked Singapore as one of the easiest places in the world to do business. Australia has enjoyed a strong trade relationship with Singapore. The Singapore-Australia Free Trade Agreement (SAFTA) came into effect in 2003. SAFTA has helped to minimize trade tariffs and increased market access for Australian exporters of services, particularly education, environmental, telecommunications and professional services. Furthermore, the ASEAN-Australia-New Zealand Free Trade Agreement (AANZFTA) has opened up many opportunities for Australian companies. According to DFAT’s Trade at a Glance 2013 report, Singapore is Australia’s 8th largest export market with total exports reaching A$ 10.3 billion (Goods – A$ 7.1 billion, Services – A$ 3.2 billion) in 2012. If we compare this to Australia’s exports to ASEAN-10 (10 countries in the ASEAN region), total exports to Singapore account for 30% of total exports to ASEAN-10. There are several ACT companies who are already regularly exporting their products and services to Singapore, such as IE Asia Pacific, Northrop Consulting Engineers, Inland Trading, Intelledox and CIC Technology. In the education space, University of Canberra is currently offering Doctoral Programmes in collaboration with Asia Global Graduate School in Singapore. Singapore’s investment in Australia is also quite significant. In 2012, Singapore’s investment in Australia reached A$ 55.9 billion and was ranked fourth overall as Australia’s source of foreign investment. There are also several Singapore investments in ACT. ComfortDelGro, which is one of the largest land transport companies in the world, acquired Dean’s Buslines and Transborder Express in 2012. In the utilities sector, Singapore Power owns a stake in Jemena, which is responsible for managing the ActewAGL gas network. 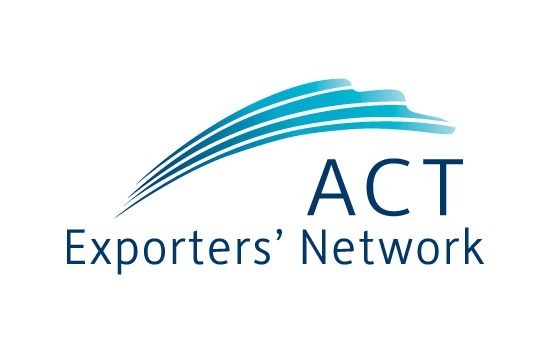 To further enhance trade relations between ACT and Singapore, the ACT Government in partnership with Canberra Business Council and the ACT Exporters’ Network is planning to organise a trade mission to Singapore over the five days 16-21 June 2014. This mission is planned to follow on from the delegation of officials Minister Barr led in November 2013 to further develop trade with the region and to promote investment and tourism opportunities for the ACT economy. The participants for the Mission will be drawn from businesses and institutions with expertise in knowledge intensive business services, projects and infrastructure, tourism and ICT services. Progressing direct flights from Singapore to Canberra will be high on the Minister’s agenda and he will also further the strong links Canberra educational institutions have with Singapore by representing the ACT at an ANU Alumni event and a Rugby 10’s tournament involving the Canberra University ACT Brumbies as well as commemorating the opening of the Singapore National Stadium. The timing of the mission will also coincide with CommunicAsia 2014, which is Asia’s largest integrated ICT event serving the business needs of the ICT industry. It provides an integrated platform where executives from the ICT industry can network, create new business opportunities and help shape industry trends. In 2013, CommunicAsia attracted 25,698 trade visitors from 95 countries and there were 1324 exhibiting companies from 49 countries. CommunicAsia 2014 is held in conjunction with BroadcastAsia 2014, Asia’s leading digital multimedia and entertainment technology platform. It is likely that some Canberra ICT exporters will exhibit in the trade show. ACT Government funding via TradeCon nect may be available for companies interested in participating in the mission. There will also be predeparture briefings, market updates and networking opportunities with other participants prior to the mission. If you are interested in participating in this trade mission, please contact me at [email protected] or call (02) 6247 4199.